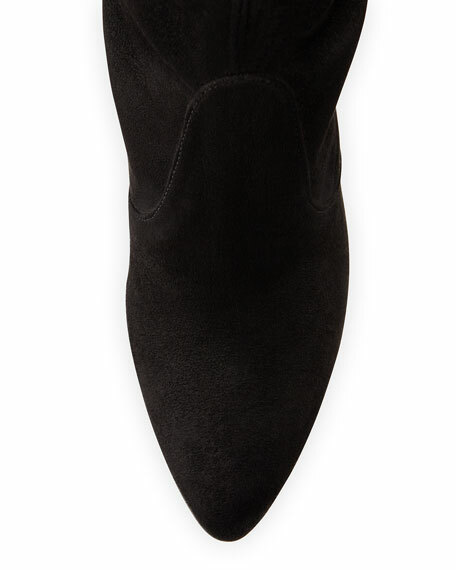 Stuart Weitzman ultrastretch nylon over-the-knee boot. 4.3" covered heel; 31"H shaft with leather tie; 17" circ. "Alllegs" is made in Italy. For in-store inquiries, use sku #2089006.